Just popping in before our weekend gets too hectic to share my finish from yesterday. 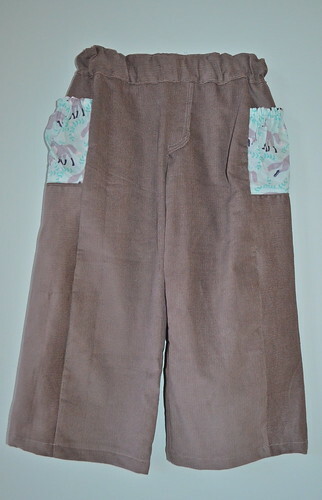 A new pair of pants for Will using the same Patty Sloninger Les Ami fabric I used for the baby pants earlier this week. Oh, it is so good to have a functioning serger! 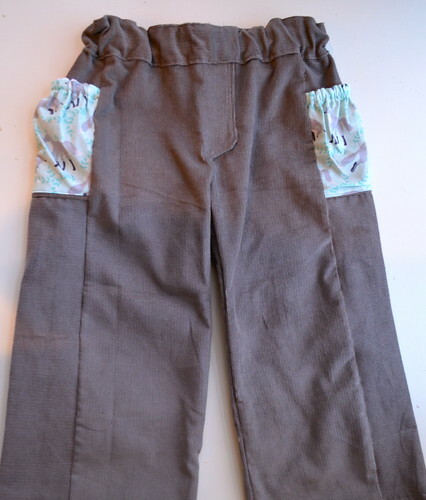 These pants are made using the Treasure Pocket Pants pattern which can be found in the Sewing For Boys Book (an absolute must purchase if you enjoy or want to to try sewing for your kid). So many awesome patterns that can be used so many ways are in there. I have made pants for my boys using this pattern here, here and here. I almost always change something about it. This time I didn't have enough of the fox print to do the whole side panel, so I simply pieced the panel with the gray corduroy, so just the pocket portion uses the print fabric. I also did a basic hem on the legs instead of facing them. I like both ways, I usually just modify based on what fabrics I am using and how much I have. These are so cute. I love he pockets.